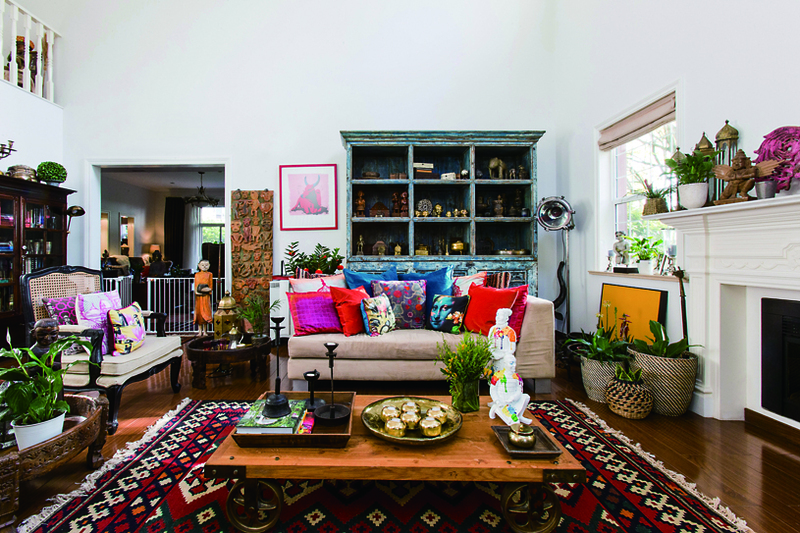 Home & Style Series #3 – Interviews with cool people around the world and how they decorate their house with interior style to make it a home. Born in New Zealand and raised in Australia, Vanessa first became an expat in the mid-‘90s when she moved to Argentina. Later meeting her husband, Jeremy, they moved back and forth to Australia and overseas to countries like Russia where their daughter (now 13) Isabella was born, and to India, Nepal and recently to Shanghai for their next adventure. She attributes her flair for collecting mostly from her time spent in India where she used to trawl trough very old, dusty and dingy markets and bazaars to find hidden treasures. Vanessa’s style is anything but mainstream, with an obvious nod to tribal appeal and with an Indian and Indo-Portuguese flair mixed with slight European accents. 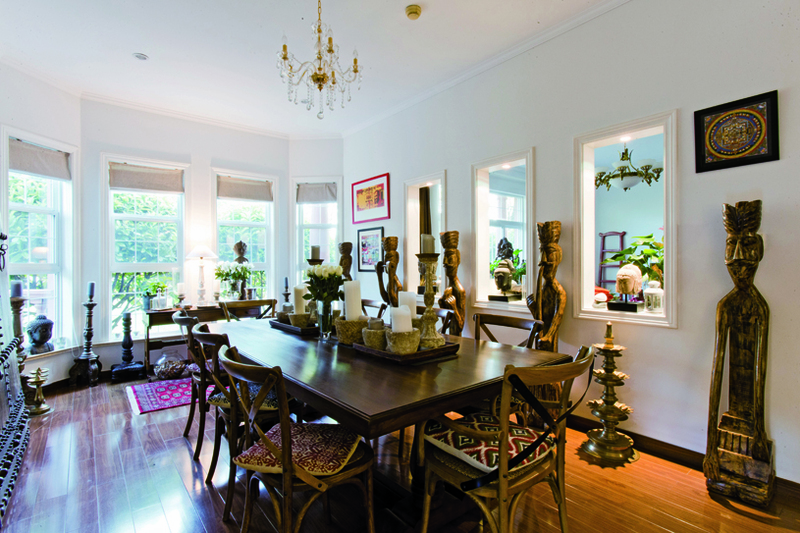 While there are small amounts of Chinese style starting to creep in, Vanessa says it’s much harder here to find what she likes than was the case in India. 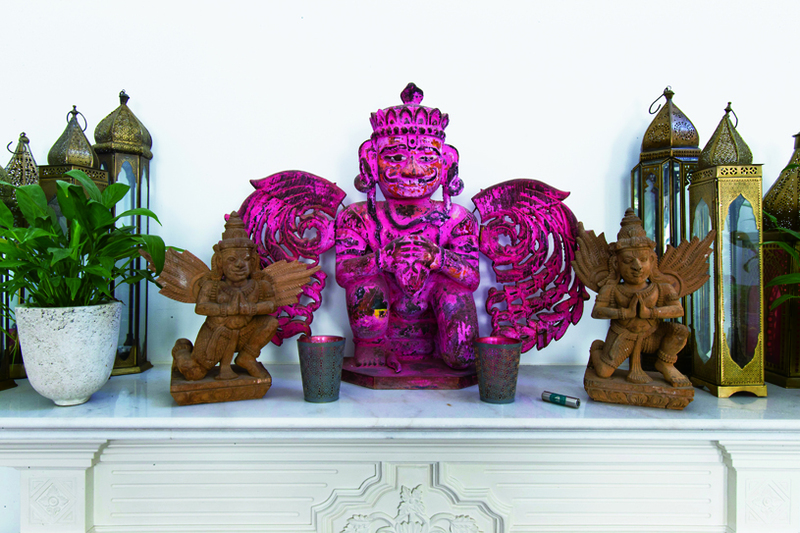 When asked to point out her favourite pieces from such an extensive collection, she instantly points to the large pink Hindi god statue above the fireplace. 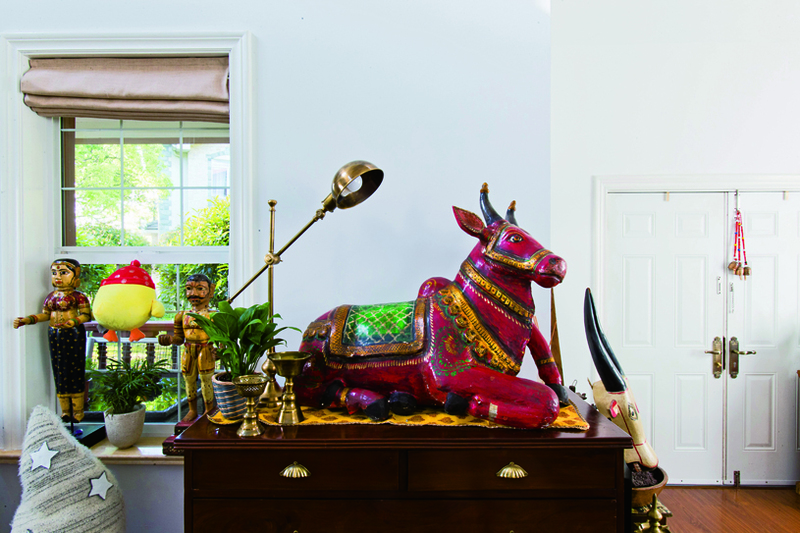 Vanessa also points out the obscure red cow in the entrance way, a couple of Nepali wooden statues and some vintage framed pictures by the stairs, all of which have some magical story to accompany why she purchased them. Want more? Check out more Home & Style Interviews HERE! Steal the style with these fresh options for your home. *prices at correct at original time of publishing.